All Gloucester County homes currently listed for sale in Gloucester County as of 04/20/2019 are shown below. You can change the search criteria at any time by pressing the 'Change Search' button below. If you have any questions or you would like more information about any Gloucester County homes for sale or other Gloucester County real estate, please contact us and one of our knowledgeable Gloucester County REALTORS® would be pleased to assist you. "Magnificent custom home with no upgrade spared. A home built for entertaining and luxury. Enter the 2-story foyer and tour the first floor Formal Living and Dining Rooms with beautiful hardwood flooring. Continue to either the first floor Study or Sunroom addition as one of the many extras. The Great Room boasts 2 stories of windows, fireplace & built-in surround sound. The gourmet Kitchen is complete with Wolf cook top, double ovens & state of the art double drawer Fisher & Paykel dishwasher, built-in microwave, island to seat four with built-in beverage refrigerator, granite counter tops, and great storage in pantry. Enjoy your meals in the Morning Room overlooking the wooded yard complete with stamped concrete patio. Endless upgrades include professionally landscape yard, custom entry door, tinted front and rear windows, 3-foot extension on Kitchen, 3 bedrooms and extra hall closets, 2 zoned heat & air, 3 door garage all with remotes, home theater surround sound in both Master Bedroom and Great Room. All this plus a full walk out basement under entire house. Please see additional attachments for extras and floor plans attached." 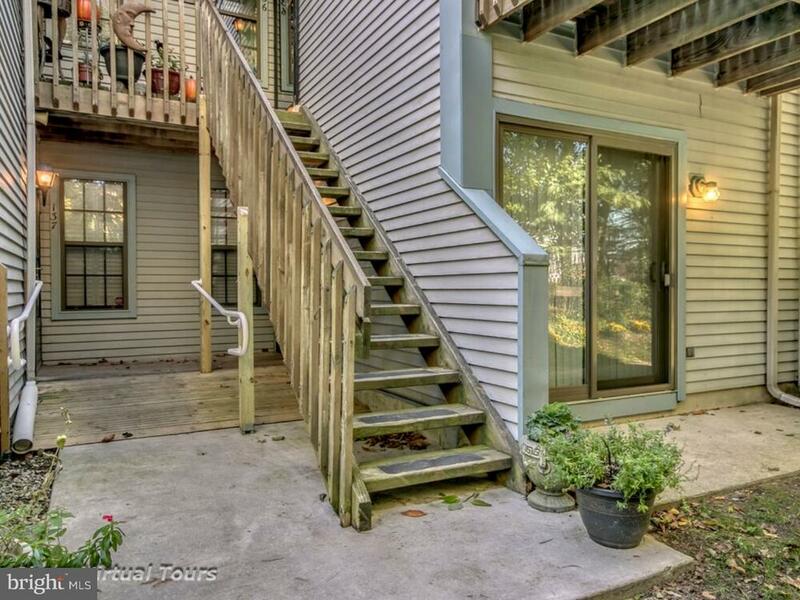 "Truly Charming Complex in West Deptford Township. This 1 Bedroom Ashton Court residence has been redesigned with style in mind. Upon entry, a sizable open floor plan creates a convenient flow between the Kitchen, Living and Dining Spaces. Cream color walls are complimented with a cozy Custom Tile Fireplace creating the focal point of the room. Within the living area, Glass Sliding Doors open to a covered Outdoor Space surrounded by lush foliage. The Kitchen was remodeled using Quality Cabinetry accented with Quartz Stone counter tops, Neutral Appliances, Undermount Sink & Tiled Flooring. There is also a laundry closet with Stackable Washer & Dryer. The Full 4 Piece Bathroom is spacious with Tile Floors and Partial Tiled walls adding to the overall design. Just off the bathroom is the Bedroom with Corner Windows which allow natural light to enter the comfortable space. This Country Creek property offers a Community Pool, Tennis Courts set within Serene surrounding. Association provides trash pick up, snow removal, and beautiful landscaping of the grounds. West Deptford is conveniently located within close proximity to the City of Philadelphia as well as the Jersey Coastline."